Come see us at Booth #7079! Precision Metal cleaning processes demand reliability and performance each and every time. That is why it is important to have the right chemistry for your specific cleaning needs. If you are ready to take the next step in improving your cleaning process, we are here to help. Click here to fill out your free cleaning assessment. One of our cleaning experts will review, research, and reach out to you to set up a time to discuss your results. Don’t want to wait for us to come to you? 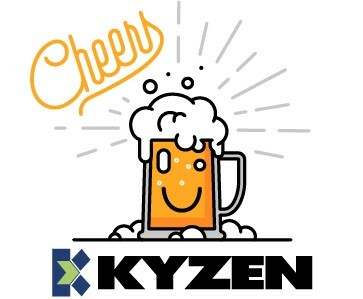 KYZEN will have live cleaning demonstrations on the show floor. Aqueous and Solvent solutions available. Bring your parts. It’s completely free! Schedule your demo here! Bonus! 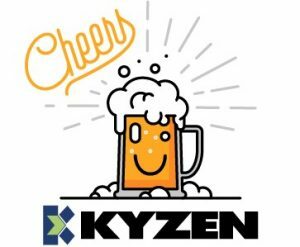 KYZEN is the proud sponsor of PMTS Happy Hour on Tuesday and Thursday from 3pm-5pm. We will give you one drink ticket for every cleaning assessment or live demo in the booth.